When you’re lean and muscular you feel stronger, healthier and more confident. And though lots of men would say that they took up the sport because they want to improve their health, the truth is that the millions of guys do it because they like the way it makes them look. They honestly don’t care whether they’re lifting 100 pounds or a thousand—as long as they achieve the muscular look they want, they’re happy. This is just a fact of life. Some guys lift weights because they truly care about how much weight they can lift and the number of reps they can do while others are really just there to make the ‘beach muscles’ look good. 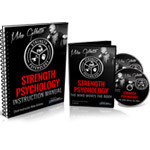 For those of you who are more interested in how you look than how much you can lift, there is a training program just for you. 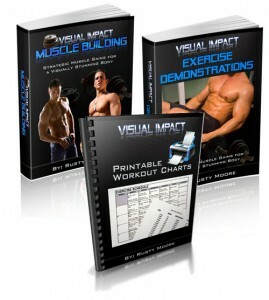 Visual Impact Muscle Building by Rusty Moore is all about making strategic muscle gains for a visually stunning body. In chapter one, Rusty discusses the ‘Big 3’ of bodybuilding: squats, dead-lifts and bench press. For years, these have been the sort of ‘holy trinity’ for building mass. 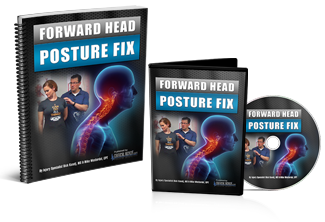 In this first part of the book he talks about how these exercises can be detrimental for the guy who is on a quest to build a visually stunning body. 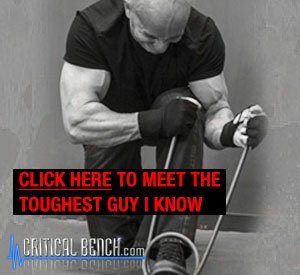 From Rusty’s perspective, for the guy striving to look his ‘beach muscle best,’ the problem with these exercises is that they perform too well, putting on too much mass or developing mass in proportions that are not necessarily visually appealing. 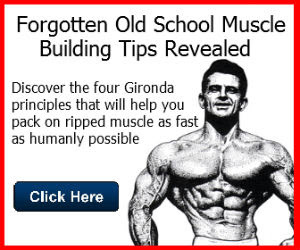 He does not however, say that these should be avoided entirely, just that they should be used strategically, rather than comprising the entire foundation of a training regimen as they often do for many bodybuilders. Next, Rusty provides us with an overview of the basic science behind how muscles get bigger and stronger. 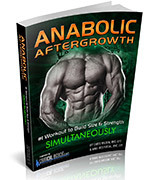 He includes a brief but thorough discussion about the differences between Sarcoplasmic Hypertrophy and Myofibrillar Hypertrophy, the two different types of muscle growth. I really like the way he presents the information so that you can decide which approach is best for you depending on your particular goals. This section is followed by a chapter that is focused on ‘cumulative fatigue.’ This is an interesting section that teaches the reader about the different results that can be achieved by varying the number of reps, the rest period between sets and the rep tempo. 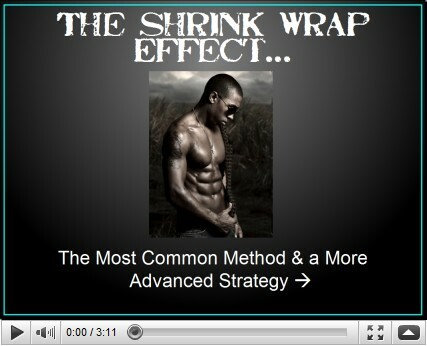 Chapters four through six also provide some really worthwhile information about strategies you can use to ramp up size gains. In all of these chapters Rusty does a great job of explaining everything in an easy-to-understand manner without being overly simplistic. In the following chapter, Rusty gets into the nutritional aspects of the Visual Impact approach to weight training. He offers sound advice about nutrition and handy formulas for determining how many calories you should be consuming each day to achieve your goals. Afterwards, he brings up supplements and says something that I know the supplement companies don’t like to see in print—don’t waste your money on expensive supplements, because they’re not worth it. Rusty is however a big fan of Creatine, which has actually been scientifically proven to contribute to muscle building. 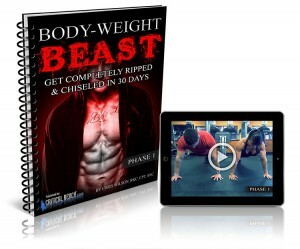 With the basic stuff out of the way, Rusty then gets into a presentation of information that enables you to develop your own custom routine that will enable you to achieve your particular goals. The basic workout routine is comprised of three phases of two months each for a total of six months. 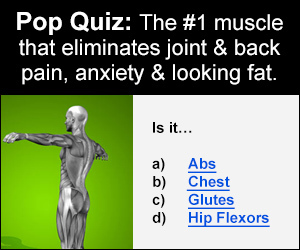 The first includes a strong focus on sarcoplasmic hypertrophy to add quick volume to the muscles. 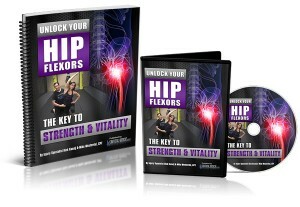 The next phase is the hybrid power-muscle building part of the routine, which serves to harden up the muscles. Phase three is built on lower volume of lifts with higher weights to further harden the muscles. 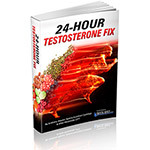 This phase also includes some ‘fat killing’ strategies to get rid of excess body fat. Rusty also includes a bonus phase for quickly building mass prior to an event. On the whole I think that Rusty has put together a solid program that is based on real science. And depending on your body type and particular goals you hope to achieve, the program is readily adaptable for just about anyone, regardless of skill level. His instructions are easy to follow and don’t include a lot of unnecessary jargon or fluff just to impress you. While Rusty’s ideas are obviously not right for everyone, if your primary goal is to look your ‘beach muscle best,’ then Visual Impact might just be the program for you.